WE were given a crash course on royal protocol over the weekend as we had to prepare ourselves to receive the Yang Di-Pertuan Agong and the Raja Permaisuri Agong on Monday. It is more than common courtesy and standard social decorum; some say it is a “law” unto itself. Research papers showed that protocol originated from a Greek word, protokollen (protos means first and kolla means glue) which refers to a sheet of paper glued to the front of a legal document to show its validity. It then grew to become a technique or proper method of doing things, including official etiquette and all forms of understanding between governments and how their representatives conduct business, behave in formal circumstances, and how to generally avoid accidental friction. Researchers said protocol has been practised since the olden times; it was at that time regarded as the norm and practice in royalty. Since then, it is now understood as rules and regulation accepted by all in daily practice, society and internationally recognised. “It helps to put things systematically in order, marked punctuality, please the guest of honour and most of all it reflects the mannerism of good behaviour in daily life,” they said. However, it might cause inconveniences when one does not understand it well. They said in Malaysia, protocol seems complex as it involves etiquette that is recognised by the monarchy and the federal and state governments. These researchers, in tracing the country’s protocol in the Malay annals such as Sejarah Melayu and Tuhfat al-Nafis, said there is a 1779 manuscript that gives a detailed description about the Malay ritual and ceremonial custom, giving rise to the awareness of the importance of protocol especially in the matter of dealing with the rulers and the people who were ruled and governed by the order of privilege. While there are those who regard protocol as archaic, unnecessary and misplaced in the 21st century, there are others who say the monarchy wouldn’t be the same without it. I, for one, believe that protocol should still be in place as it actually helps to know how to interact with royalty and to avoid embarrassment when we are in their company. We learnt new things from officers of the Protocol Division of Istana Negara. And, we took the cue from our chairman Tan Sri Ismail Omar, the former inspector-general of police, who had loads of practice having had numerous audiences with the monarchs when he was in office. We saw how at ease he was when performing the “menjunjung duli” and using “royal vocabulary” during Their Majesties’ visit. The protocol officer said there is a distinction between federal and state protocols. We were told to address the Yang Di-Pertuan Agong and Raja Permaisuri Agong as Tuanku or His or Her Majesty respectively. However, if it is a state ruler, the greeting should be Your Royal Highness. We were told to lay out the red carpet instead of yellow because we were receiving Their Majesties as the Yang di-Pertuan Agong and Raja Permaisuri Agong instead of the sultan of Pahang and Tengku Ampuan Pahang. We were reminded to always make our hands visible, with our hands clasped in front. From days of old, this was to indicate that we were not concealing any weapons. Perhaps, the thorniest of protocol issues is the “menjunjung duli”. General protocol rules state that one has to put the palm of the hands together and bring it to the forehead when meeting the royals. In Johor, however, this is not a practice. Growing up, I was taught that men only need to bow their heads when meeting the royal family. As for the women, I was told we had to curtsey (lowering the body by putting the left foot back and placing the palms of both hands on the right thigh) but I hardly see this done as women too have taken to bowing their heads. But confusion arises when Johoreans are outside the state. 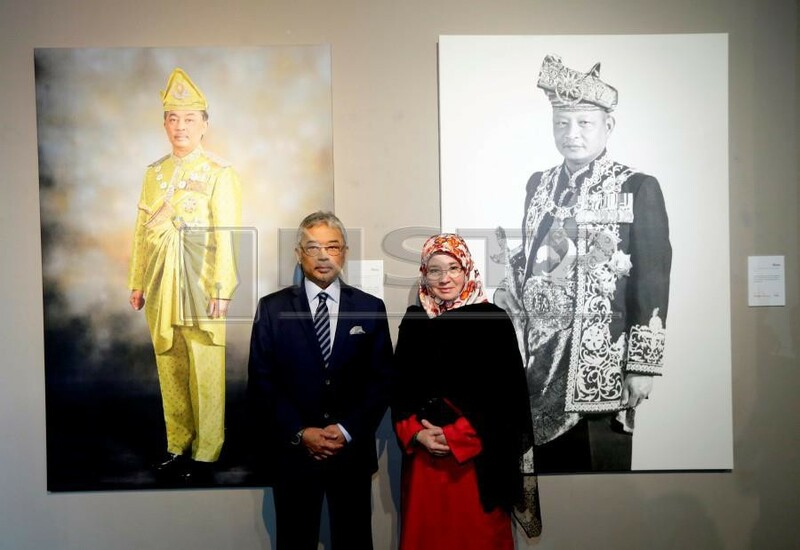 Do we or do we not “menjunjung duli” when we meet the other monarchs? In fact, you can tell if one is a Johorean when he is in audience with the monarch as some do not do it. I have seen former cabinet ministers from Johor who do not perform the “menjunjung duli” at ceremonial royal events before. I have told friends who have sought my advice of my simple rule of thumb. If the protocol dictates that we perform the “menjunjung duli”, we should do it. It could be awkward at first but with enough practice, it can be perfected. For the first time, I performed the “menjunjung duli” in front of Their Majesties on Monday. As much as I am from Johor, I am “rakyat Malaysia” and it was an honour to host both the King and Queen of Malaysia at the Galeri Prima and the New Straits Times Press’ newsroom.